U.S. President Barack Obama delivered a State of the Union Address stating that "No challenge -- no challenge -- poses a greater threat to future generations than climate change"  . There is a plethora of scientific evidence to back up his claim, from rising sea levels, rising global temperatures, shrinking ice sheets, to increases in extreme weather events and ocean acidification . Although it seems that the reality and seriousness of climate change is a truth (almost) universally acknowledged, solutions to the issue remain elusive. Despite huge leaps forward (a third of the countries in the EU have already reached the target of 20% renewables by 2020 set out by the European Commission ), there have also been significant setbacks (Justin Trudeau recently approved the expansion of the Kinder Morgan pipeline through the Burnaby Mountain Conservation Area in Vancouver, B.C. ) and more education for the public about climate change mitigation and prevention is required. This page attempts to fill this gap in public knowledge by presenting a way of looking at design problems that will allow for more innovation and incorporation of sustainable practices. When using the ecosystem approach, it is necessary to look at the system we are trying to design or improve as a human ecosystem. When looking at a system through this lens, we are examining how a population of humans interact with the natural environment and the built environment around them. This examination may lead to previously undiscovered reliances or links between parties, and is crucial when designing with the ecosystem approach. Below a very high level look at the UBC Farm is presented. In order to perform a more detailed analysis, the Inputs and Outputs would be expanded and broken down into specific categories. Many more links and reliances would become evident, and in some cases it would become clear that the Inputs actually depend on the Outputs, creating more of a circular structure than the graphic below suggests. Now that we are thinking of the UBC Farm as an ecosystem, it is important to consider the ecosystem services it provides to the surrounding community. It is crucial to consider ecosystem services during any design project, especially one where the ecosystem in question will be altered or removed. Ecosystem services are any benefit provided by an ecosystem to humans. The following video gives a more detailed explanation of ecosystem services. A high-level overview of the services provided by the UBC Farm is presented below. Only one example of a service from each category is presented, but it is important to remember that many services of each type are provided by the UBC Farm. The common overarching goals is a comprehensive list of guidelines employed by community planners and the stakeholders in the development of a community plan. 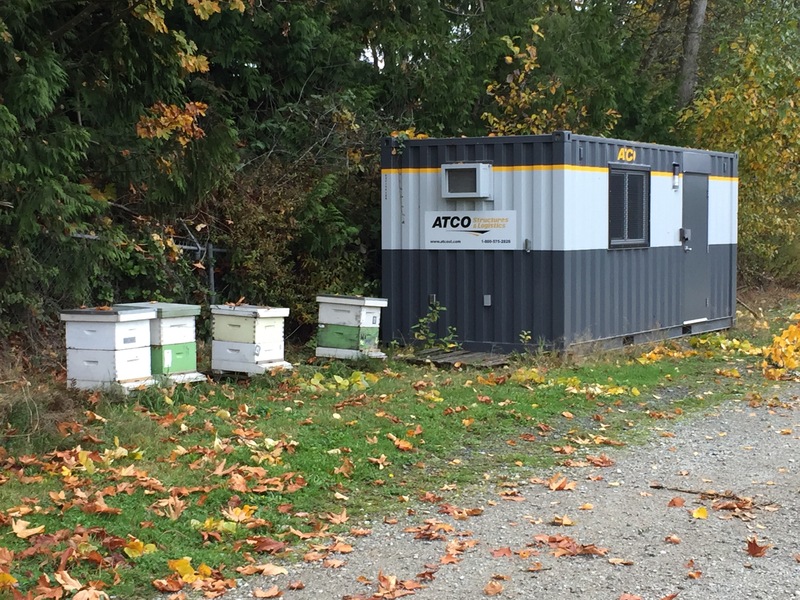 Urban ecologies - such as the UBC Farm – remain stable and successful ecological systems due to collective agreements of the community and stakeholders alike. In fact, The UBC Vancouver Campus Plan acknowledges the importance of the UBC Farm as a unique research opportunity. To further reinforce UBC as Canada’s most sustainable university and to distinguish UBC as a world leader in campus sustainability, UBC Farm adheres to the South Campus Academic Plan and is not subject to development of campus market housing. The UBC Farm is a comprehensive ecological system made up of many individual aspects that work together to create a successful ecological system. The individual aspects can be observed as “cells”. The cell model can also be attributed to the UBC Farm’s motto of, “No one thing does just one thing”. A few examples include honey bee colonies, which pollinate many different species of cultivars located on the farm; high tunnel farming, which provide prolonged heating during colder weather found in late fall; and provide natural habitat for amphibious life, through the naturally-occurring wetland. High-tunnel/Greenhouse farming is an effective way of prolonging the farming season when temperatures begin to lower. It is a natural method to utilize the self-heat in the form of convection, and requires no external energy. In addition, solar energy can also provide heat naturally during the colder season. However, there are potential improvements that may further reinforce the regenerative design concept. Evapotranspiration is a combination of water vapours transfer from the soil, and water vapour discharged from plants. Subsequently, the water vapours within the high-tunnel, from both soil and plant, can be collected when the water condenses on the surfaces of cooled pipes. The design may potentially include a reservoir that collects rainwater. The pipes then carry the cooled water inside the high-tunnels. The water vapours from the plants and soil will then condense on the relatively cooler pipes, and that water can then be extracted. The pumps do not need to pressure the system, only to convey water between the high-tunnel and external reservoir; as a result, the power required is expected to remain low. 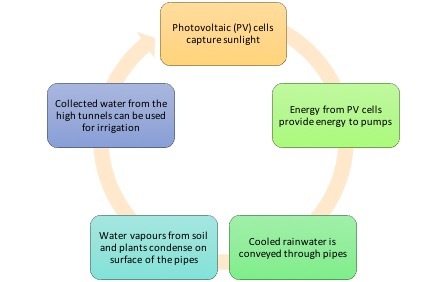 Photovoltaic cells can capture solar energy and provide power to the pumps. The UBC Farm is located right by the ocean, and is an ideal location to potentially take advantage of fog harvesting. The fog from the ocean can provide an additional source of water. Specially designed nets are able to capture the water droplets within the fog itself, and the captured water can be used for irrigation. At the core of ecosystem thinking is the need to view ecosystems in terms of the relations of the various components that make up the ecosystem. Ecosystem thinking when applied to cities helps us envision cities as fully ecologically dependent and functioning systems. 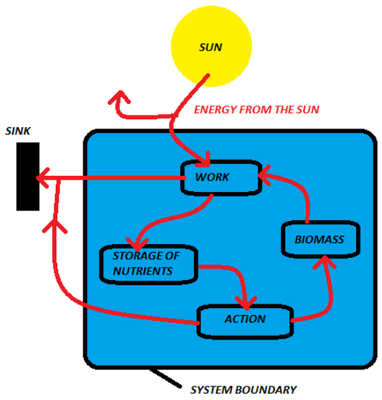 The various conceptual models shown below help us to see the inter dependencies of the various components in an ecosystem. Typically, these models help us to account for the mass, energy and information flows within the system and across the boundaries of the system . Being the simplest of the four conceptual models it helps us to envision the flows in and out of the system while keeping abstract the flows within the system . The black box model is often the starting point when conceptualising a system’s flows. If the UBC farm were trying to track their water sustainability, they would start from this model. The first step would be to get a measure for the input water from all the sources. This would give an estimation of the overall water demand of the farm. A general overview of the farm's water usage such as this would give an idea of the magnitudes a water analysis of the UBC farm would involve. The Input water could be further broken down into more sustainable sources like rainwater that gets collected on the farm land and other sources like water form public water systems and groundwater. This would give an estimation of how the farm is doing with regards to utilising sustainable sources of water. This is similar to the black box model except that it also accounts for the flows within the system. It gives us a good idea of the various interactions within the system without taking into account the quantity of the flows. The amounts of nitrogen transformed from one form to another inside the wetland cannot be measured but the different chemical forms of nitrogen and total nitrogen can be measured in the input and output. This model would show that a significant amount of the element can escape to the atmosphere in the form of ammonium, gaseous nitrogen and nitrogen oxide. Below is an example of the Input/Output Model applied to the UBC Farm wetland. This model aims to capture various aspects of a natural ecosystem like energy capture and transformation, mineral retention and cycling and rate regulation. The P-R in the model stands for “Production of Biomass” and “Respiration of the Community of species within the ecosystem” . It gives us an idea of the living organisms that exist within the system under consideration and how they interact with the environment. More specifically aimed at urban infrastructure this model helps us to understand the fluxes in a system; how much flows through within each of the components and how much is retained within the components . Below is a diagram that shows a road map model of the water flows inside a city. To achieve sustainable targets, it is helpful to orient our thoughts and design processes. 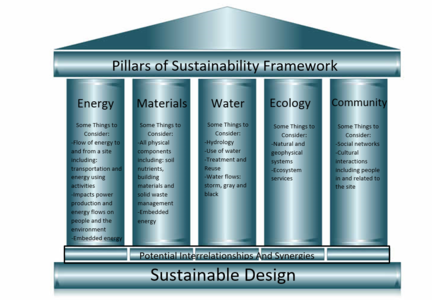 Listed are four frameworks that exist to centralize the idea of sustainable design. Rather than a mere portion of a scope, sustainability becomes the lens or the overarching objective on all fronts. These frameworks can be used individually or in combination, depending on the objectives of the design team. In this framework, five major categories have been established as a basis for sustainable development practices. An image that summarizes these pillars is seen on the right. 1. Present the pillars to the design team. Teams should consider project outcomes, practices, and processes that fall into the five categories. The entire lifespan of the project should be taken into consideration; from construction to decommissioning. As these pillars are discussed and contextualized for the specific project, teams should familiarize and prioritize areas which can reduce harm or can contribute towards a positive effect on the environment. 2. Specify strategies for courses of action which contribute to a positive effect on the environment. Breaking down the larger picture into steps allows teams to identify concrete targets, assign priorities, and specify interconnected parameters. As the name suggests, the framework interprets design by examining scale and density. A benefit to using this framework is having the insight into appropriate design responses. When you consider scale and density, discussion about scope and/or design requirements happen early on. It is particularly effective for implementing change because the scope can then be combined with the sustainable goals that the design team has set out. In the case of infrastructure, important questions such as unit size, number of units, proximity to structures that serve the same purpose all come from an understanding of scale and density. The principles within this framework are evident in our urban fabric here at UBC and is also seen in the greater Vancouver area. It is quite common that anyone living in an urban area walks along a street everyday. Whether that particular street is pedestrian friendly, cyclist friendly, or car friendly depends on the scale which it was designed for. Importance is placed on the notion of walkable cities scaled to pedestrians. Spaces that are conducive to walking increase accessibility to services, build a stronger sense of community, and encourage green modes of transportation. Overall, these changes, which are informed by urban density and scale, have significant positive sustainable implications. Transect means 'to cut or divide'. This framework defines land use, and categorizes areas into six zones. As you move across the a region, one can expect to see a progression from zones 1 to 6. Even before these zones were suggested in industry, the built human ecosystem has exhibited these traits throughout history. In addition to the six zones, there is recognition of spaces which do not fall under these categories. Such cases fall under the zone termed 'Special District'. These include mixed-use environments, industrial facilities, large institutions/campuses, or unique use. The advantage of using this framework is that a smaller set off options are distinguished as the optimal options. Designers working on sustainable developments continue to use this resource and add to the body of knowledge collected up to this point. The basis of this framework is to focus on the interactions that exist between the human-made and the naturally occurring systems. It is important, when using the Built Form-Ecology Framework, to establish an understanding of how interconnected these two can be. Our decisions have greatly altered the natural environment, to create widely dense, all consuming, and ambitious urban developments. There are very few cities which took with stance so strongly and have been able to implement it fully. As a whole, the main goal of this framework is to contribute and make positive change towards the environment when we are carrying on with what is known and somewhat routine in industry. This type of change handles sustainability quite head on because it directly suggests that we replace harmful habits and lifestyles to fit what is needed by the earth. It is certainly applicable and relevant to projects which are adjacent to natural areas. The concept is closely linked with regenerative design, which is discussed further in Section 4.3. Additionally, a thorough study of eco-system services would be beneficial when using Framework 4. This topic of eco-system services is in Section 2 Human Ecosystems. To make use of this framework, it is important to be able to define and recognize aspects of the farm that fall within each pillar. The following is a list of questions that are within the scope of the given category. Water - How does the farm manage their water? [What does] acquiring, reusing, collecting, disposing look like on the farm? How does the irrigation system work? How effective is the signage about irrigation? See the image on the right. There is clear signage around the site to mark irrigation pits. Energy - What are the common practices on the farm in terms of energy consumption? Has UBC farm retrofitted or updated inefficient places/machinery? Materials - What types of soil are present? What remediation efforts have taken place to increase fertility? Which are native to the area? Which have been introduced? How is the water quality and chemical composition? How do the farm address contaminants? What is the size of a typical rain event and how does it impact the moisture of soil? Ecology - Describe the historical profile of the area and comment on previous uses of the land. How conducive is the location of the farm in relation to the sustainable targets? What is the effect of being adjacent to Pacific Spirit Park? Project proposals for the UBC Farm can use the second framework to identify appropriate solutions for the size and needs of the farm. The farm covers 24 hectares of south campus. On site, the farm has a number of features including a 300 cubic meter composting facility, multiple areas for growing produce, and space for free range poultry. Making changes to improve the impact on the environment would be unique to the scale and density of UBC Farm. Sustainably sound practices on the farm would surely look different when compared to a community garden, as well as an industrial sized farm. 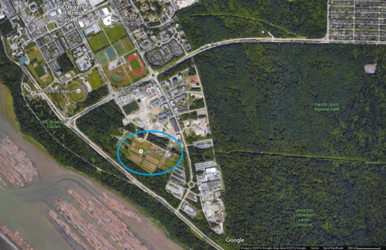 Since the farm is flanked by the University and Pacific Spirit Park, the Transect Framework can give insight into how best to manage the space allotted to them. Use of this framework can also aid the effectiveness of transitional zones. By clearly assigning zones, the typical gradient can be used to its full potential. Currently, the farm does not have a lot of buildings.The built-form refers to the acreage and how it is managed. Future developments pose an interested design opportunity. Since they can start from the drawing board, cutting edge regenerative designs may be feasibly. It is important to have specific methods of evaluating and observing designs which are already active because of the constant push/need for improvement in this area. These measures are helpful to the direct design team. But in addition to that, data collected adds to the body of knowledge surrounding environmental practices. Critical analysis, quantitative data, and qualitative evaluations are a few among many ways to assess whether our strategies are working or not. Sustainable design has always promoted the idea that we as individuals and as global citizens can reduce and minimize our impacts on the environment. Along the same lines, regenerative design challenges us further by stating our ability to make positive contributions to the natural environment in a restorative fashion. Rather than simply doing 'less bad' to ecosystems and habitats, regenerative design asks that we consider how we can improve and really 'do good' for the environment. Ideology and Values - To begin understanding regenerative design, it is helpful to have a deeper knowledge of underlying frameworks, approaches, and green designs. To see significant changes in society, we need to collectively shift towards having an appreciation for natural systems and processes. Approaches - At this stage, all the parties who are involved with the design collect and discuss different approaches. In picking an approach, teams must consider site specific constraints, client defined requirements, and access to sustainable technology/resources, among other things. It is preferred that all parties which are invested or who are affected by the project give input into design. Creating interdisciplinary design teams is one way to try and incorporate different backgrounds and expertise. Parties involved can range from technical professionals, to skilled trades workers, owners, and community members. Involvement takes many forms, including technical work, experiential information, and opinions via public consultation. Planning for the Future - As work happens in the first two steps, a lot can be gained for future designs. Regenerative design can progress if efforts are made to examine and improve what is known so far. The new Farm Centre will also, be incorporating the Residential College. This aims to support an immersive sustainability-themed academic experience while also, contributing to UBC's student housing goals.The residential college will typically be for upper-level undergraduate, graduate students and visiting scholars within multiple disciplines engaged in sustainability. Overall, the building itself aims to get LEED Platinum and minimize the footprint while also demonstrating the preservation of the farmland. In order to achieve the sustainability goals, there are 4 main management areas that need to be considered. Building energy is one of the largest energy consumers in the world including embodied energy and energy use. 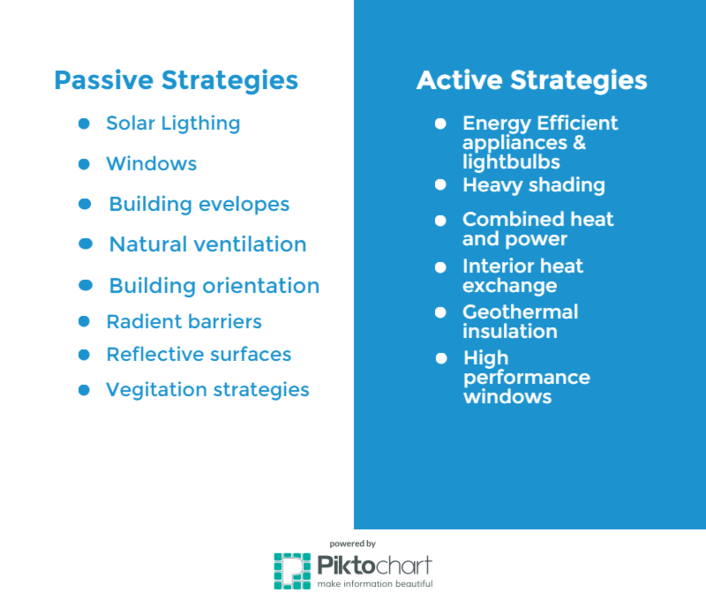 In order to increase the sustainability of the energy use within a building, two approaches should be made. One is to reduce the unnecessary use of energy and the other is to maximize the efficiency of the energy use. When determining the best way to do this, it is important to consider the general operations of the building and the daily function and habits of the people within the building. Since the UBC Farm Centre and Residential College will have many different purpose, there will be a wide range of energy needs. 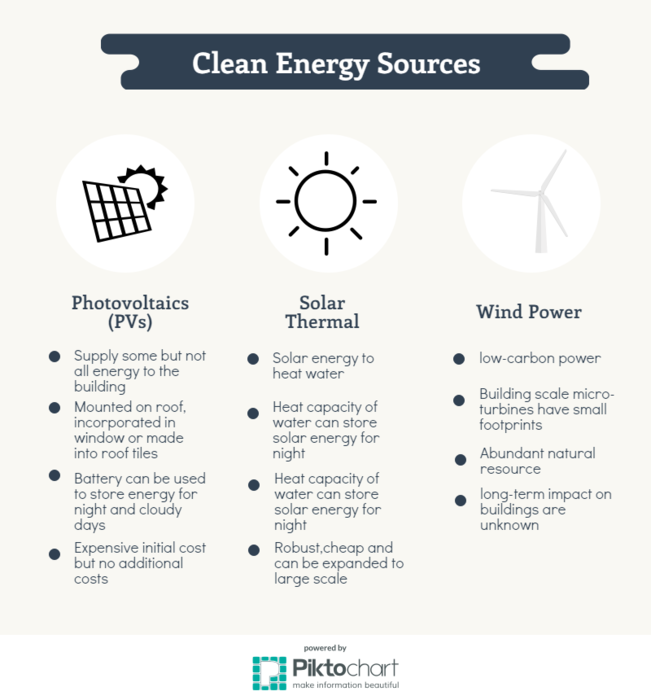 This may make sustainable energy management more difficult but it also makes it more important to consider. Water management is one of the 4 main areas that need to be considered for sustainable infrastructure. The following will demonstrate some of the ways that minimizing the consumption of potable water can be done. As well as some concrete examples that the Farm could implement. Both site planning and sustainable materials are important to consider when determining the material management plan for any new development. All stages of the building process needs to be incorporated to ensure maximum sustainability can be achieved. Each stage will have specific considerations that might be beneficial for the Farm to look into for the new Farm Centre and Residential College. To maximize the conservation of the natural farm land, it would be important to reduce the footprint of the building. This may require the new development to be more than one story, depending. During construction, ensuring the movement of materials and people does not disturb the land surrounding the building is important. To counter act any negative effects that may occur due to construction, it should be planned to replace any green life that may be harmed. 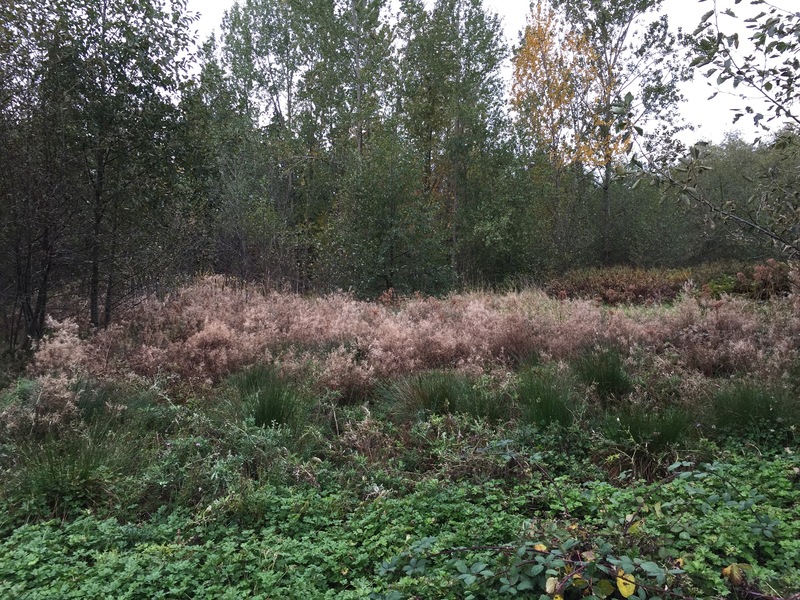 Since the UBC Farm has a unique variation of plants and trees around the land, it is important to maintain this unique diversity that can be used for learning. Incorporating green space into the built environment will reduce the impact of the building on the surrounding land. This will allow for opportunities to include trees and plants which may of been harmed during construction. As well, adding more green space will help capture the rain and runoff from adding impervious surfaces on an area. Adding green life will allow the water to be absorbed into the ground reducing the impact runoff or pooling of water could have on the land. Incorporating green space into the building could also, provide some learning opportunities for the students, staff and community who use the Farm, while also improving the sustainability of the building. Through the application of the management areas, a healthy and sustainable inside environment can be made. Here are some examples of how these concepts can be incorporated into the new Farm development. One of the main ways to maintain the quality of air is ensure the building has proper ventilation. To reduce the energy used for ventilation, natural or passive ventilation systems can be used. Putting more ducts, doors and operable windows in allows for more opportunities for air flow, especially with the more occupants of the buildings. This would be a good idea to incorporate into the Farm Centre and residential building because this is probably where the most occupants will be entering and leaving. Night-Purge ventilation which is when the windows stay closed during the day and are opened at night. This could be used to maintain the air quality in the office or work spaces. Cross-ventilation can be used to move air through the smaller spaces. Allowing a large atrium like room to draw the air from the rest of the building to an exhaust which could be through the roof. If the Farm Centre has a larger atrium like entrance would allow the opportunity to include cross-ventilation in the design of the Farm Centre. A combination of passive and mechanical and passive ventilation may also be considered if passive ventilation is not adequate. The important thing is to stay away from solely mechanical ventilation system which requires a large portion of the building energy. Maximizing the use of solar lighting is an important part of designing a healthy sustainable environment inside a building. Having high vertical windows, roof lights and daylight guiding systems will allow the light to penetrate deeper in the building which would reduce the need to artificial light. Incorporating a living wall would provide glare control as well as heat gain especially on the western facade. This would allow to reduce the energy needed to heat the building and help create an comfortable environment when using the daylight. There will be the need for some artificial light at night especially in the resident rooms and work areas. Using efficient light bulbs and adding in dimming and motion sensors can reduce the use of unnecessary energy. Acoustics are important to consider in the classrooms, work areas and within the Farm Centre Lobby. Using sound absorbing materials, oscillating panels closing the cavities and resonators are all options which could be used to improve the acoustics within the building. Although climate change can sometimes feel like an insurmountable problem, there are many ways, both large and small, that we can all make a difference. It is our hope that this page has provided some illumination with regard to the built environment and civil engineering projects on methods that can impart real change in our communities. First and foremost, a shift in how design problems are viewed is required. Using the ecosystem approach, engineers can begin to look at design projects with respect to how they interact with the ecosystem they are a part of. Various models may be used to fully understand and explore the systems within and around these ecosystems. Frameworks for design are a useful tool to guide this process, and it is essential to measure and track progress as it is made. Using this approach, sustainable design considerations will be implemented as much as is possible. Now that a greater understanding of the guiding principles has been achieved, how can we apply these practices in our workplaces, schools, or any other situation? There are a few barriers to sustainable development that must be considered. When sustainable technology has been implemented, people tend to forget their sustainable habits as the problem has been "solved". For example, after the installation of energy saving LED lights, people may not be as diligent as before about keeping lights off whenever possible. Development tends to be divided into distinct phases: planning, designing, construction, operation, maintenance, and deconstruction, with different parties being responsible for each phase. The problem that arises from this system is that it becomes very easy for each party to blame a different phase for failing to address sustainability. There is a persisting public perception that sustainability is expensive. Stakeholders often over-estimate the cost and under-estimate the benefits of sustainable practices. Due to a combination of liability issues and a lack of funding for research and development, innovation in the development industry is very rare. It is extremely difficult for cutting-edge technology to compete with tried and tested techniques that have proven to be safe and effective (no matter how out of date and inefficient they may be). One of the ways to overcome these barriers is the integrative design process. This process involves all of the stakeholders from a project coming together to work on every phase of the project life cycle. It also involves consulting with multiple experts from various fields on every aspect of the design. The integrative design process increases trust between stakeholders and ensures that the entire team is working together towards the same goals. It also eliminates the supply chain characteristic barrier previously discussed. A number of technologies are available to aid teams that are attempting to transition to the integrative design process, including Business Intelligence software, social software, and the Analytic Hierarchy Process. It is our hope that the Farm will be able to integrate some of these practices into their future developments. We hope that we have provided sufficient tools and resources to accomplish this. Additionally, we hope that this page has helped to fill the public knowledge gap on sustainable design and technologies. ↑ 5.05.15.25.35.45.5 Stamatina Th. Rassia, Panos M. Pardalos, sustainable environmental design, Springer, 2012. ↑ 6.06.16.26.36.46.56.66.76.86.9 Sarte, S. Bry, Sustainable Infrastructure: The Guide to Green Engineering and Design. Wiley, 2010.